I have to admit that Michael Keaton is probably the most grating part of the movie but everything else looks pretty great. I can only assume there has been a lot of studio meddling and interference but, either way, this might not be a bad movie.The suit looks like a really cool modern update with just the metal grey, and I completely disagree with Michael Keaton; it does not need more black. I personally can't wait to check out the movie when it comes out though. I'd love to hear more opinions from everyone though! 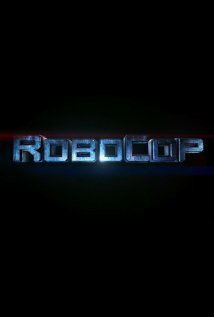 ROBOCOP is directed by Jose Padhila, stars Joel Kinnaman, Abbie Cornish, Bryan Cranston, Gary Oldman, Samuel L. Jackson, and Jackie Earl Haley, and comes out February 7th, 2014.